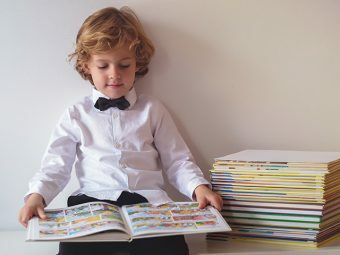 Show your kids The Lion King or the Madagascar series and they, for sure, will fall in love with Simba or Alex, the lovely lion characters in those movies. The immediate result is a volley of questions to you on the Lions. Are you prepared to answer all their questions? 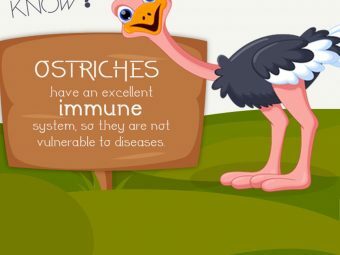 How much do you know about lions that you can share with your children? We bring you several unknown but interesting facts about lions for you to share with your little ones. Read on. The African lions, fondly called the ‘King of Beasts’, are usually found in middle and southern portions of the Savannah. The scientific name of Asiatic lions is Panthera Leo Persica. These lions are found in the Gir forest of the Gujarat state, India. Lions are the biggest cats after tigers. They are compact, lithe, deep-chested and have muscular bodies, just like other members of their family. They have shortened and rounded head along the whisker and a tawny coat with a long and tufted tail. The hair can also be white on the abdomen, behind the ears and the inner side of the legs. The golden brown color camouflages the lion while hunting. The baby lions have a rosette pattern coat which fades as they grow. But the vestiges continue to exist on the legs and lower abdomen of the adult lions. The upper surface of the lion’s tongue is covered with horny papillae, which help them carry meat and get rid of the parasites while grooming. The male lion has a long mane around the neck, distinguishing it from the lioness, and all other big cats. The mane makes the lion appear larger, attractive and intimidating to other male lions. What many people don’t know is that the hair protects the lion’s neck during fights. The mane, which starts growing when the lion is 18 months old, continues to grow into a shaggy mane until they are five years old. The young males look scruffy as the hair starts growing. The African lion can reach up to 6.5 feet long from head to rump and can weigh up to 420 pounds. The tail alone measures 26 to 39 inches long. Male African lions have hair on cheeks, throat, shoulders and belly. Asiatic lions are bigger and heavier than their African counterparts. They weigh up to 500 pounds and are up to 9.18 feet long. The tail measures around 23 to 35.43 inches. The mane of the Asiatic lions is smaller than the African breed. Both male and female Asiatic lions have folds of skin running along the length of the belly. This feature is exclusive to Asiatic lions. It can be one of the amazing lion information for kids! Lions attain maturity as early as 24 to 28 months in captivity and 36 to 45 months in wild. The difference is because of the nutritional elements. Female lions reach two-third of their adult size by the time they turn two. During the Pleistocene Age, around 10,000 years ago, lions were found throughout most of the warmer regions of the world, including Greece and Middle East. In fact, they were the most widespread land mammals after humans. Today, lions are limited to Africa and Asia. A majority of lions can be found in Africa, but even there, their numbers are decreasing because of the loss of habitat. You will find lions in grasslands, savannahs, woodlands and dense bush of Botswana, South Sudan, Central African Republic, Tanzania and other parts of sub-Saharan Africa. These landscapes allow them to creep stealthily through the vegetation and leap upon their prey. In Asia, you will find lions wandering in the Gir Forest National Park in India. The 877 mile-long reserve forest includes grasslands, scrub, and rocky hills. Lions are extremely social. They live together in the group ranging from three to 30 lions, comprising of a lioness, her cubs, and a few male lions. Do you know what’s their group called? It is called pride. The pride is contained in a territory that could be as large as 100 square miles. Lions do not allow other animals to enter or hunt in their territory. The male lions spray urine to establish their domains. The strong smelling substance in the urine warns off the other lions. Both lions and lionesses fiercely fight the outsiders who attempt to join their pride. The African prides and the Asian prides are different. The African pride consists of three males, a dozen females, and their young ones. According to National Geographic, there are prides even with 40 members. The Asian lions divide themselves into two prides with the males and the females having different prides. They come together during the mating season. The habitat of Asiatic lions is quite harsh and difficult. The prey is also scarce, so they live in small prides with fewer mouths to feed. The lionesses stay put in all the prides. All the lionesses in the pride are usually related to each other as they remain with the pride in which they are born. On the contrary, lions stay in a particular pride for just two to four years. After a few years, they are either evicted by the other males who take over the pride or leave it on their own. The new member can even kill all the cubs so that they can give birth to their babies with the lionesses. The ousted lions form groups and follow the migrating herds until they are strong enough to challenge the lions of other prides. Lions are the laziest of all the big cats. They spend around 16 to 20 hours of the day sleeping and resting. You will usually find them lying on their back with feet up or snoozing up in a tree. They have few sweat glands, so they conserve their energy by resting. Lions tend to become more active and hunt at dusk and dawn. They use their stored up energy for hunting, which requires running extremely fast for short periods to capture the prey. Lions tend to get very affectionate when they are resting. They purr, groom and rub the heads against one another while lazing around. Lions are obligate carnivores, which mean they live on meat. They can take down any, decent sized animal. Their favorite prey includes antelope, water buffalo, impala, wildebeest, and zebras. Lions can also take down large animals like rhinos, giraffes, and elephants. Lizards, mice, tortoises, antelopes, warthogs and crocodiles form a part of a lion’s diet as snacks. Scavenged food provides more than 50% of their diet as they steal kills from the less dominant predator whenever they get a chance. Lions have a fast-working digestive system, which lets them gorge and then take the second serving shortly after. If the water is readily available, they drink it every day. But they can also go on for up to five days without water. They obtain the moisture from the stomach contents. The lionesses do the majority of the hunting while the male lions guard the pride and protect the cubs. The females hunt in groups of two or three, using teamwork to chase, surround and kill the prey. They fan out and make a semi-circle with weaker lionesses herding the prey towards the center. The stronger lionesses knock down the animal and make the kill. The foot pads enable the lions to move soundlessly while sharp and retractable claws help them seize and hold the prey. Retractable means they can pull the nails in or out as and when needed. This also keeps the claws sharper. Lionesses are not the most successful hunters as they score one out of several tries. The males come for help if the females face difficulty killing large animals. Even though the lioness does most of the hunting, the lion gets to eat first. After the lions finish eating, the cubs and the females eat. Baby Lions or cubs are born after a gestation period of 3 ½ months or 105 days. The lioness can get pregnant after they turn two or three years old. A litter consists of two to three cubs weighing three pounds each. The cubs are born blind and do not open their eyes until they are a week old and cannot see well until they are two weeks old. The cubs also have brown spots that disappear as they grow. Since they do not have a den, lionesses conceal their cubs in gullies, thick bushes or rocky outcrops. If the predators see the hiding place, the lionesses move their cubs to another hiding place. The cubs move to the pride when they are six weeks old. In a pride, two or more lionesses give birth around the same time, and the cubs are raised together. These young lions are brought up by all the other members of the group. Some mothers nurture the young carefully while others can neglect or abandon them, especially when there is a scarcity of food. In a case of negligence, the other lionesses take care of the neglected cubs and allow them to suckle, giving them a chance to survive. This gesture shows how considerate lionesses are to the members of their pride. Cubs are very playful, which often brings them on the radar of predators like jackals, leopards, and hyenas. Eagles, snakes, leopards, and hyenas feed on the cubs. Some do not live long because of starvation. Cubs are driven out of the pride at the age of two or three years, and they become fully grown in six years. After becoming fully mature, the young ones start challenging other males of the pride to win the right to mate and pass on the genes. 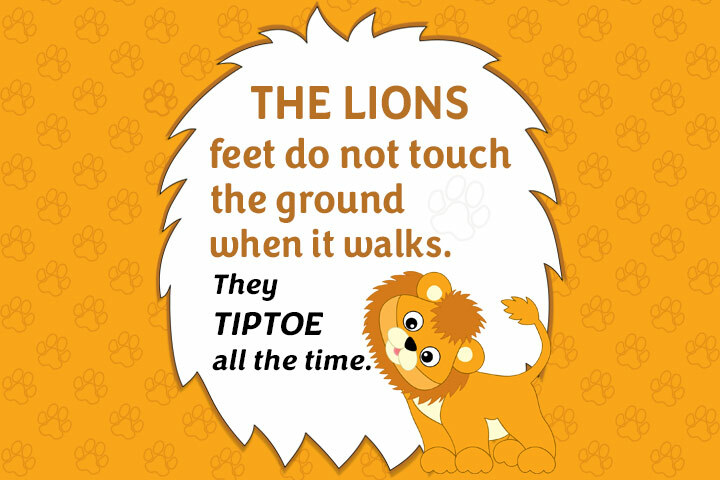 This is one of the amazing lion cubs facts for kids to know. The lion’s roar communicates their location to the other members of the tribe. The roar of lions is loudest of all the big cats and can be heard up to four miles away. The leaves on the trees move and grass flattens from the force of the sound. The loud roar of a lion is because of the cartilage in their throat that turns into a bone. Lions tend to roar more at night than day. The roar also warns the intruders and helps to round up the stray members of the pride. Apart from roaring, lions communicate through a range of highly developed behavior and expressive movement. They perform actions like rubbing heads and licking each other. Nuzzling or head rubbing is a greeting gesture for the lions. Lions also communicate through a variety of vocalizations like snarls, purr, meows and hissing. Their vocalization varies in pitch and intensity. Lions are symbols of courage and strength and have been celebrated in the past for these valiant characteristics. The beasts are also symbols of stateliness and royalty, hence the phrase ‘king of the jungle’. Ancient Egyptians used lions in wars due to their power, strength, and fierceness. The famous sphinxes are one of the many mythical depictions of lions in the Egyptian culture. The writings of Aristotle referred lions in Greece in 300BC. Even the crusaders frequently confronted lions on their way through the Middle East. The Romans imported lions from Asia Manor and North Africa to execute humans. Despite their fierce appearance, lions are classified as ‘vulnerable’ by the International Union for Conservation of Nature (IUCN) Red List. It means that they face the danger of being wiped out in the wild. There has been a dramatic decline in the population of the lions, with around 40 to 50% decline recorded in the last few decades. There were around 100,000 to 400,000 African lions in the early 1900s but fell to 16,500 to 47,000 between 2002 and 2004. Africa was home to 200,000 lions 40 years ago, but now it is left with just 32,000. This means that in another 40 years, there won’t be any lion left if the current trend continues. The IUCN has listed Asiatic lions as endangered, as only 350 of them exist now. The group also includes 175 mature animals. Deforestation in the name of development left the lions struggling to find a home. Loss of prey is another reason for the extinction of lions. The shortage of prey is forcing the animals to travel farther and find harder to feed themselves and their family. The only predator of lions is the man. Humans kill lions as hunting trophies for their walls at home, in bravery rituals, or to protect their livestock. Countries have now implemented stricter laws to protect lions. Lions are also susceptible to tick-borne diseases like babesia and canine distemper. The canine distemper is spread by the neighboring village dogs and hyenas. Babesia usually affects the malnourished lions during droughts. The ticks spread to the lions when they kill sick animals. The combination of babesia and distemper causes mass fatalities among lions. Lions have a terrific vision. These cats are six times more sensitive to light than us. Their eyesight gives them a distinct advantage over other animals when it comes to hunting at night. Lions are taller than tigers but do not weigh as much as they. Even though lions are the kings of their land, they still have animals that challenge them. The spotted hyena is the chief competitor for prey in Africa. A lion can live up to 15 years in the wild and up to 25 years in captivity. That’s because they are kept in an enclosure or cage and do not face the dangers that wild lions face. A lion can run at a speed of up to 50 miles per hour, but not for longer distances. So they either sneak up on their prey, or they wait for it to come close enough to catch. They wait hours on end to catch their prey. Do you remember Simba from the movie Lion King? Simba means lion in the Swahili language. A lioness needs 5kg meat a day while a lion needs 8kg or more. That’s quite a lot considering the average steak we eat is just about 200g. So, the lions eat 35 times more meat than we eat in a single serving. Lions are extremely strong. Just a swipe of their paw can bring down the smaller animals. They can drag a large animal just with jaws. They kill either by strangulation or by clamping their jaws around the neck of the prey. Lions are national animals of Bulgaria, Belgium, Albania, Ethiopia, Netherland, Luxembourg, and Singapore. Lions and tigers are so closely related that if you shaved them, you would not be able to differentiate between them. Even the body structure is so similar that only experts can spot the differences. Even though pumas or mountain lions belong to the same family as the African and Asiatic lions, they are not considered lions. The heaviest lion to date weighed 826 pounds. It must have been one massive lion! Lions can also breed with other cat species. Tiger and lion breeds are called tigons or ligers; leopard and lion breeds are called leopons and jaguar, and lion breeds are called jaglions. We all know that cub is the standard name of a baby lion. But there are other names for these cuties as well, like lionet and whelp. The lion’s feet do not touch the ground when it walks. 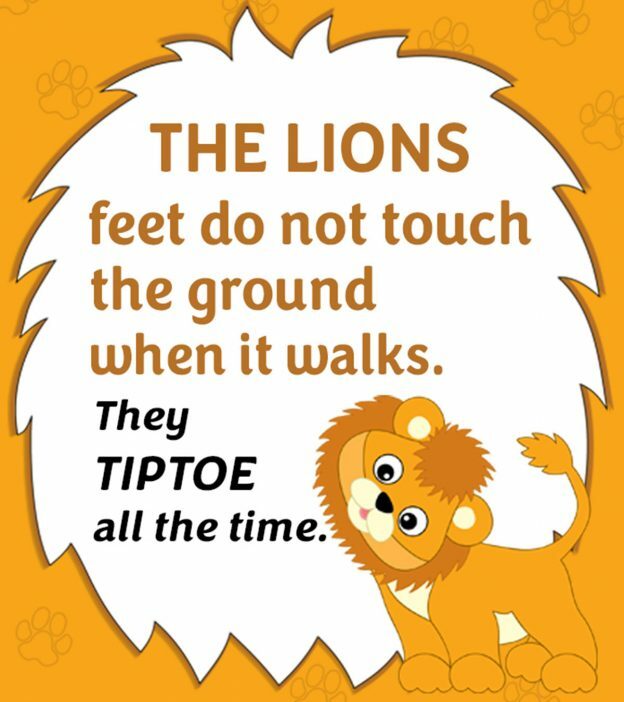 They tiptoe all the time. The lion’s mane is a good gauge of its age. The darker the mane, the older is the lion. They eventually lose their manes as they age. Two species of lions, namely Cape lion and Barbary lion, which was once the largest of all the lion species, have become extinct. The oldest lion ever to live was 29 years old. A genetic anomaly, not albinism produced a white African lion. This gene changes the body color. The cubs weigh just three pounds when they are born and are entirely dependent on each other. The term big cats is used to separate the large members of the Felidae family like tigers, lions and panthers from the smaller members. Lions are on the top of the food chain, which means that adult lions have no natural predators. Lions find their prey by their sense of hearing. Lions are nocturnal. They hunt at night because they feel too hot and uncomfortable during the day. Some lions turn man-eaters as they find humans easy prey due to their lack of capability to run swiftly. This applies in particular to the case of injured or aged lions who cannot hunt typical prey species. But the majority of lions do not attack human unless provoked. These were some of the interesting fun facts about lion for kids to know. We hope you and your child enjoyed reading the interesting information about this mighty animal. 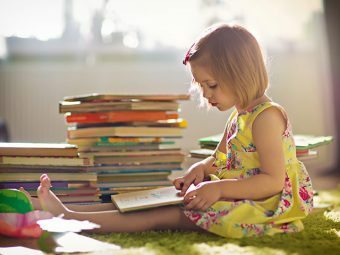 Do you have any facts about lions for kids to share? Let us know by commenting below! 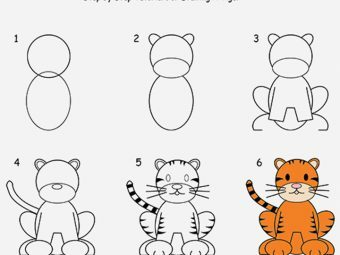 How To Draw A Tiger Step By Step For Kids?